Here at the Brattleboro Music Center we shop local. In fact, we make it our business to support the many generous merchants in our area who not only contribute to our work but who make our community so distinctive. But when the only option is purchasing an item on the Internet, we recommend doing it through AmazonSmile! 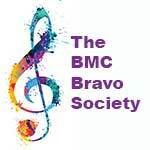 AmazonSmile is a simple and automatic way to increase your support of the BMC when you shop online. It costs you and the BMC nothing, but you get to do a world of good. The added bonus is that the AmazonSmile Foundation will donate 0.5% of the price of your eligible AmazonSmile purchases to the BMC. Items that are eligible are marked on their product pages. Over time the purchases you make, when added to those of the entire BMC community, can have a tremendous impact on our programs. NOTE: Shopping from Amazon apps, Kindle or through affiliate links won’t work with this program. Reminder: After signing up, don’t forget to update your bookmark. Thank you for shopping AmazonSmile and supporting the BMC!